This 4-week acceleration program is designed to support student startups, by providing them with focused learning, expert mentorship, and rapid experimentation. It is a zero-fee, zero-equity program.In the previous editions, 1000+ student entrepreneurs from 250+ colleges, spanning 25 states across the country applied, of which 95 participated in the program. Post program, the alumni won more than 60 competitions both on national & international level, received multiple govt. grants & funding opportunities, won contracts from reputable clients like Reliance, Adani Group, etc. and generated revenues and created employment. The program will take place in iB Hubs offices in Hyderabad and Lucknow, under the guidance of iB Hubs’ program mentors and industry experts, helping them move from early ideation stage to developing an MVP. Post program, startups will receive startup credits worth 1.5+ lakhs and also receive constant guidance throughout their journey. So, what are you waiting for? Get ready for a rollercoaster ride that’ll jumpstart your entrepreneurial journey! Student Entrepreneurs, apply now! 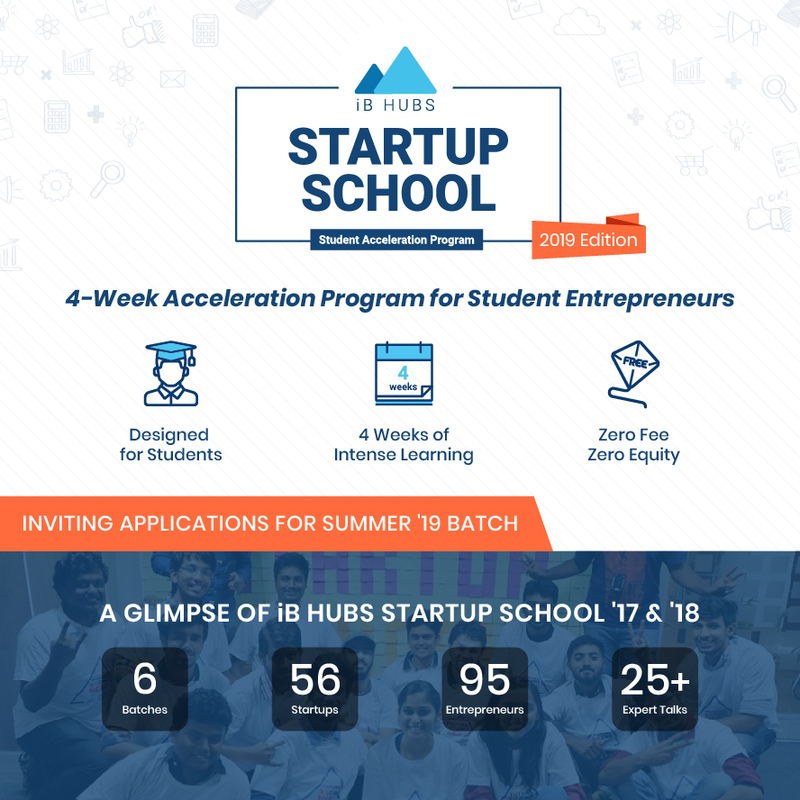 For more details, drop a mail at startupschool@ibhubs.co or get in touch with our team at 8008900956.